Ithaca is Number 3 in this list, and there’s a nice mention of Moosewood. If we could just deal with the high cost of housing here, all our people could keep living here in the city, along with students, faculty and staff at the colleges! We have so much going for us; let’s keep our communities together and create a socially just, ecologically sound and sustainable local economy. Let’s build more truly affordable housing and value the diversity of people we’re lucky to have. Ithaca has arguably the highest concentration of prestigious schools on the entire list: Cornell University and Ithaca College, which are central factors in the city’s economy and culture. That said, a recent influx of healthcare, tech, and tourism have invigorated and diversified business. 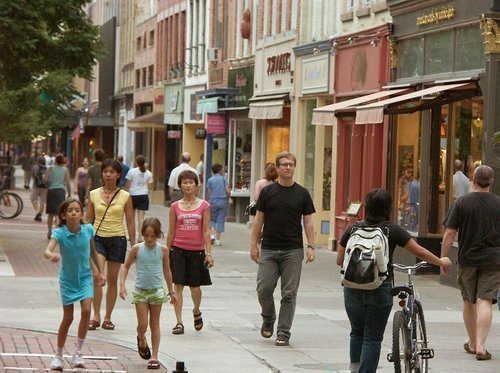 Ithaca is also something of a foodie destination, with the Moosewood Restaurant being named among the top 20 Most Influential Restaurants of the 20th Century. The Ithaca Farmers Market is another major attraction, bringing 150 vendors from in and around town. Perhaps unsurprisingly, the university’s have also brought in excellent museums: the Sciencenter, Cayuga Nature Center, the Cornell Lab of Ornithology, and the Herbert F. Johnson Museum of Art, whose exhibit is one of the finest available in upstate New York. Several festivals take place throughout the year, as well.